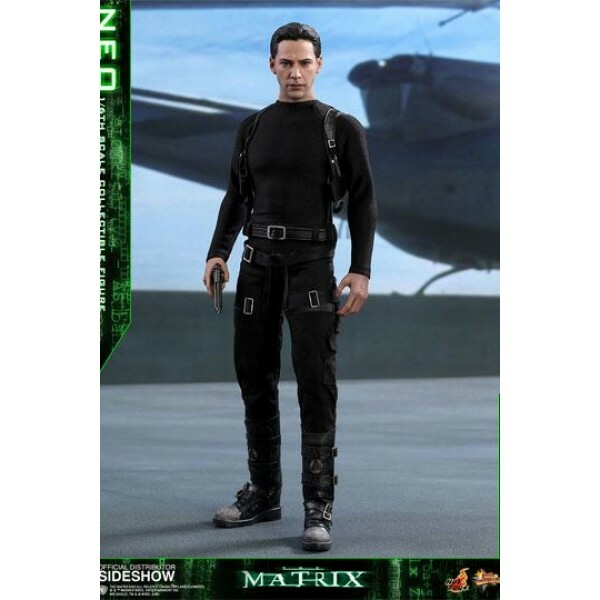 In the binary world with one and zero codes, are you a zero, or The One? 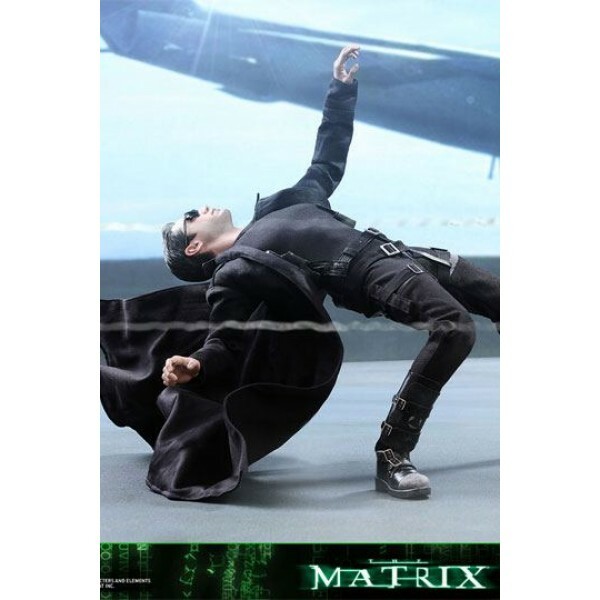 The legendary and widely acclaimed Sci-Fi blockbuster The Matrix has created a tremendous impact on cinema and pop-culture with its concepts and characters. 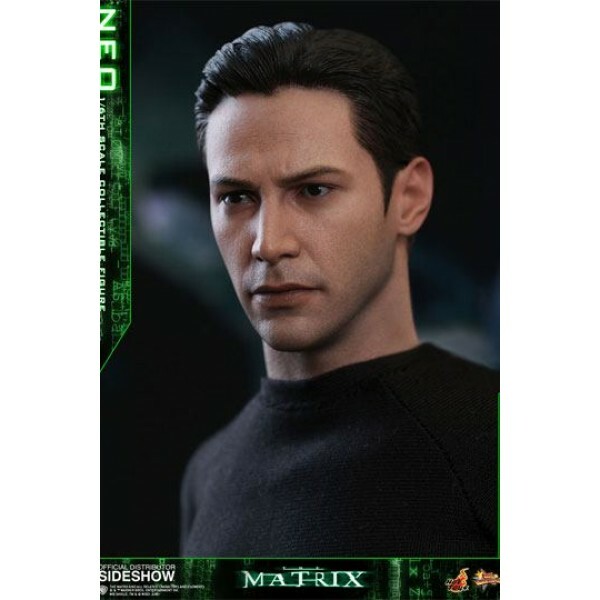 Portrayed by the renowned actor Keanu Reeves and ranked as one of the greatest movie characters of all time, Neo is foretold by the prophecy to be "The One" who can put an end to the war between humans and machines and free humanity. 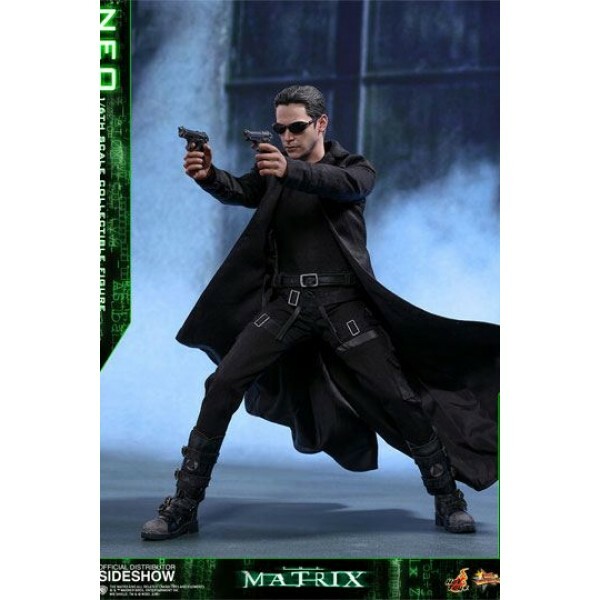 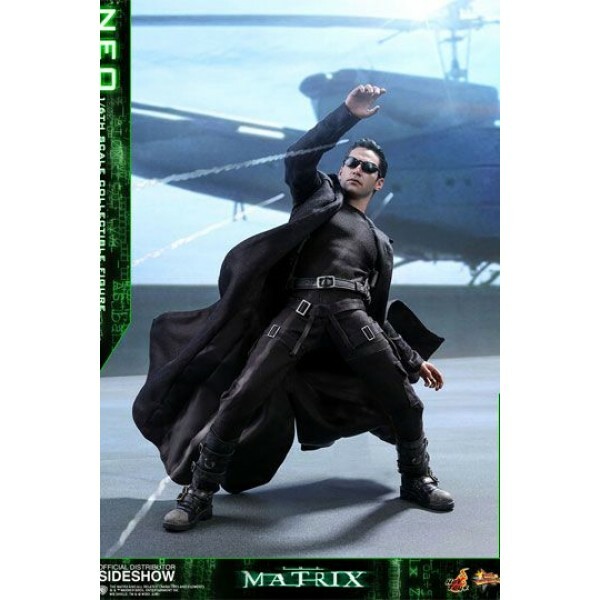 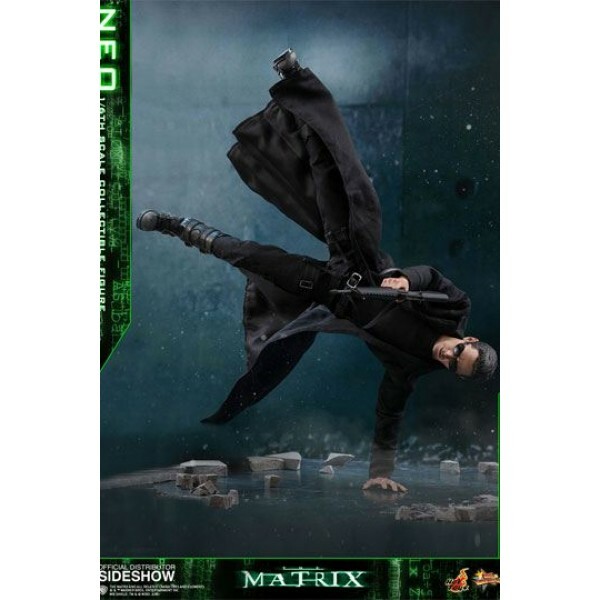 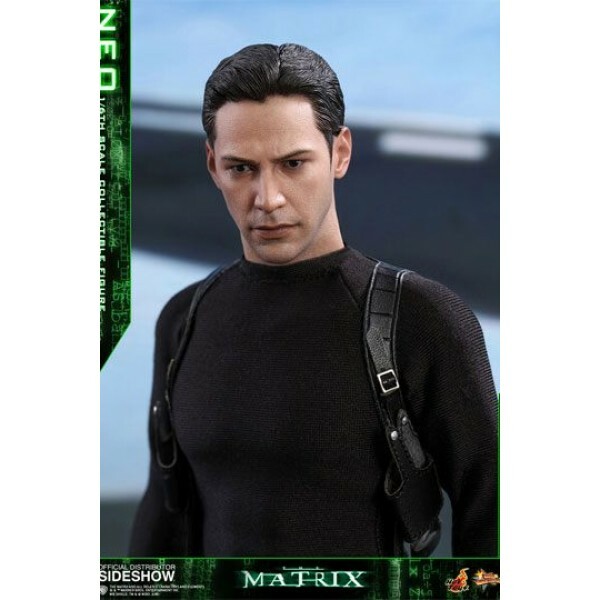 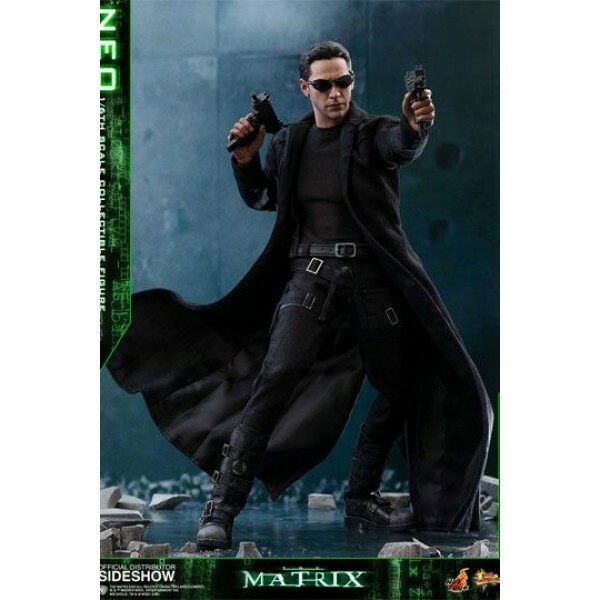 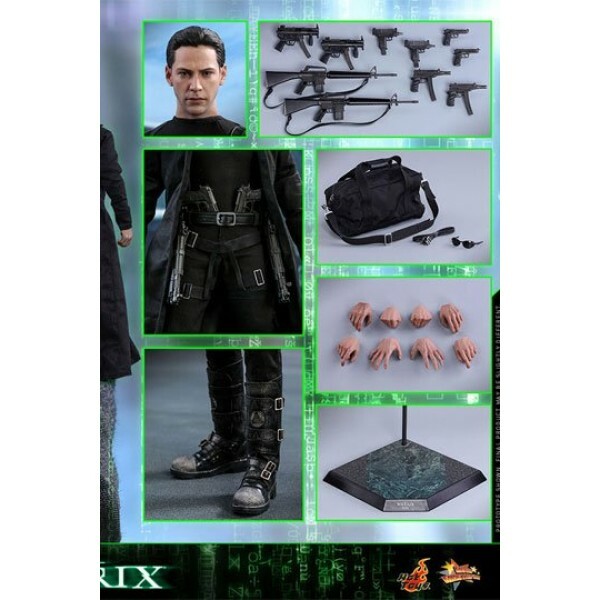 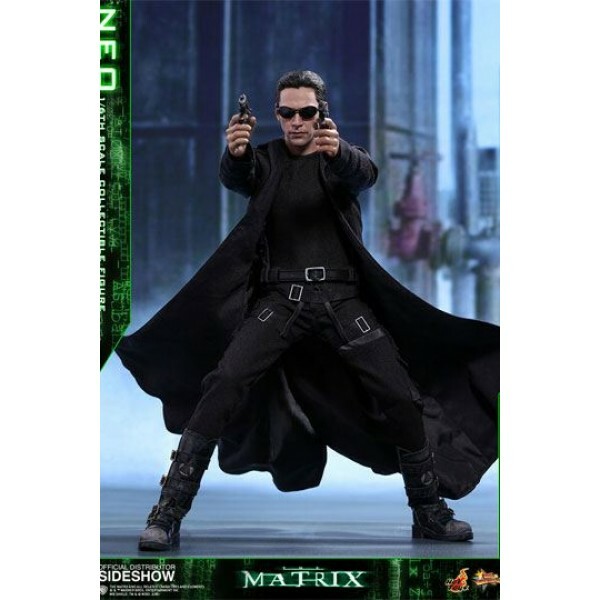 Sideshow and Hot Toys are very excited to present the highly anticipated 1/6th scale Neo collectible figure from the award-winning science fiction film The Matrix. 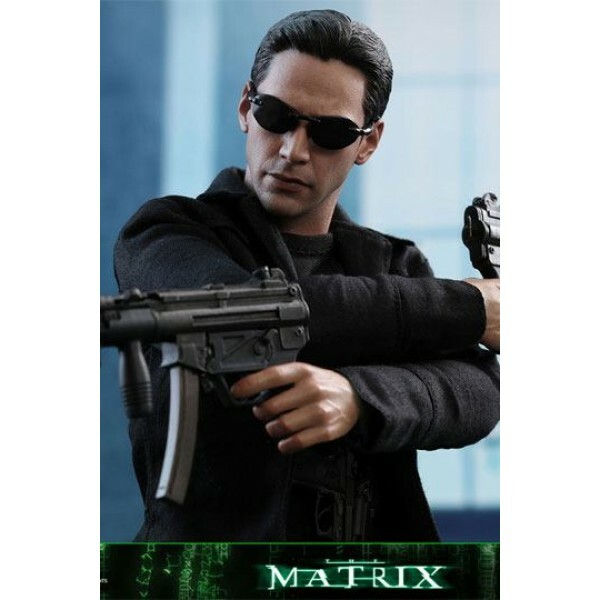 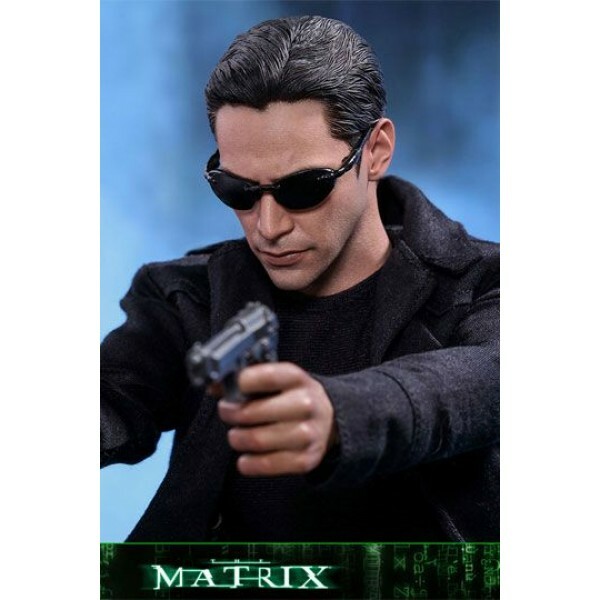 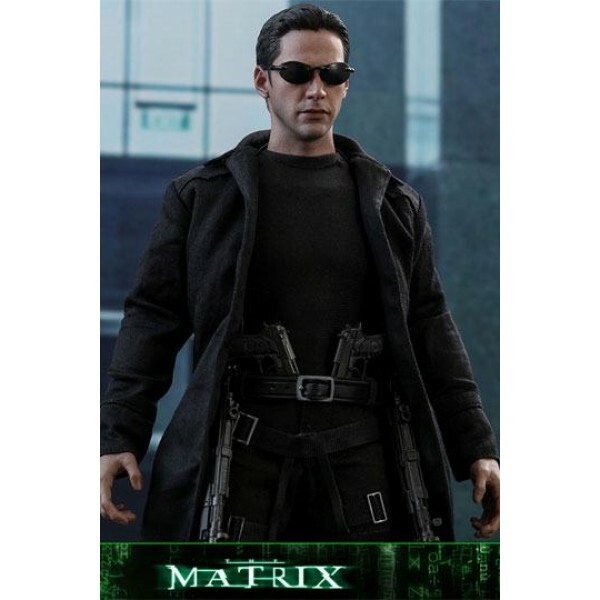 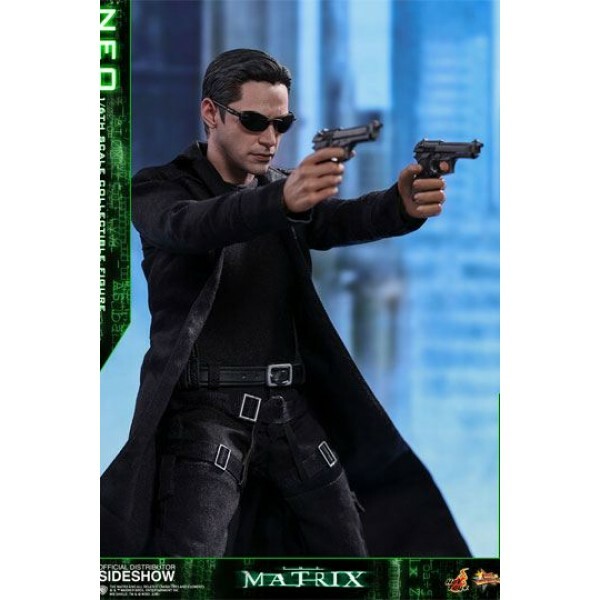 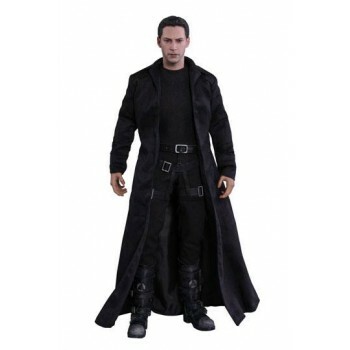 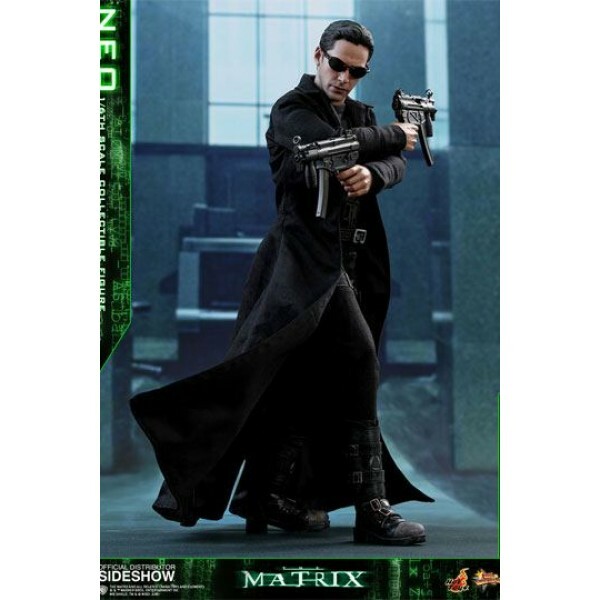 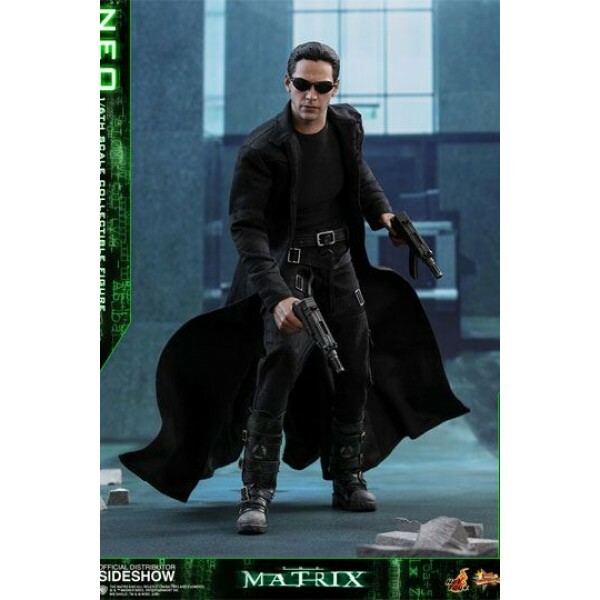 With meticulous and careful craftsmanship, the very stylish sixth scale figure features a newly developed head sculpt highlighting a stunning likeness of Keanu Reeves as Neo in the movie, the signature form-fitting outfit and long coat with sophisticated tailoring, "lots of guns" including assault rifles, various types of submachine guns, and pistols, the iconic sunglasses, and a specially designed dynamic figure stand!